There’s still plenty of time for skiers and snowboarders Lake Tahoe to take advantage of the deals at Sugar Bowl because there’s still a month or more left in the 2018-19 ski season. Sugar Bowl offers the “Advantage Card,” which is valid every day. The card costs $25 and saves $15 off the window rate any time, including weekends and holidays. The best way to purchase day tickets are to buy online. The lowest prices for all three of the Vail Resorts in Lake Tahoe are found when purchasing seven days in advance. The lowest price found in March (seven days in advance) single day adult pass at Northstar was $129, a savings of $31. Heavenly offers a low in March of a $123, a savings of $31. At Kirkwood, throughout March a one-day lift ticket can be purchased most for $92. Season pass: Introduced on March 5, the new Epic Day Pass reduces daily lift tickets next season for as low as $89 a day. The Epic Pass gives skiers a chance to pre-purchase one to seven days of skiing for prices that are about half the walk-up ticket price at Northstar, Heavenly, Kirkwood, and most Vail-owned ski areas. The passes will be mailed to skiers, eliminating the need to stand in line for a day lift ticket. The traditional Epic Pass has two packages, the no blackout dates for $939 and the other for $699. However, it is not good for the remainder of this season. Click here for more details. Much like how airfare fluctuates based on availability and season, tickets follow the same model at Squaw Valley Alpine Meadows. Tickets are available in tiers of pricing, and early purchasing gets you the lower prices. Once that price sells out for that day it’s gone. Search here for deals. Ski on less popular days for even deeper discounts, as low as $89. Click here for more information. An “Alpine Only Ticket” is new this season. Introduced as a midweek deal, the daily lift ticket can be purchased for the discounted price of $79. The ticket is good any Monday-Friday and only at Alpine Meadows. The ticket is only sold via flash sales, so skiers and riders have to be on the lookout for when those one-day sales come up. Visit here for the Alpine Only Ticket. Season pass. The pass went on sale March 5 and offers passholders access to 38 destinations worldwide. 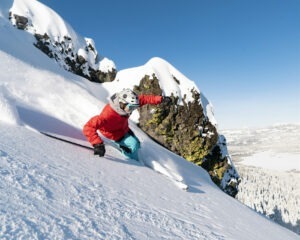 An added benefit is that if purchased for the 2019-20 season, access to Squaw Valley Alpine Meadows begins on April 8, 2019, which means unlimited skiing and riding for the remainder of this season. Mt. Rose in Nevada has been offering great deals for more than a decade. Every week there’s a “Two for Tuesday” special – getting two lift tickets for the price of one. Mt. Rose has always been known for its deals and this year is no different. The normal adult lift ticket goes for $135 and if purchased online there’s a $10 savings. However, many days there is a better deal offered. For what Mt. Rose refers to as “dynamic pricing” click here. The Nevada resort has been offering great deals for more than a decade. Every week there’s a “Two for Tuesday” special – getting two lift tickets for the price of one. Tickets must be used that Tuesday. Every Thursday, the resort has $49 lift tickets for its “Ladies Day” special. Any Mt. Rose ticket can be purchased online at www.skirose.com or at any ticket window. On Sundays, “locals” get a special deal. An adult lift ticket costs $69 and includes a pizza slice and soda. Children under 15 pay $29. Local IDs are required to show skiers or riders live within a one-hour drive of Mt. Rose. Another unique deal is “Ski the day you Fly” into the Reno-Tahoe airport. Lift tickets are $69. A boarding pass and photo ID must be shown at Guest Services. Active Military can ski Mt. Rose any day for $69. Season pass: The 2019-20 Mt. Rose pass starts at $495 (weekday) and $795 for the premiere pass. All season passes include the remainder of this season and all of next season. If you’re buying a lift ticket at the Homewood Mountain window you are either uninformed or have never heard of the internet. When purchased online, the savings of an adult lift ticket dips to as much as 55-percent online – $49. That’s right, a mere $49 for a one-day lift ticket. The resort, located on Tahoe’s scenic West Shore with the closest ski resort proximity to the lake, has deals for active duty military and their families. For active military, skiing or riding Homewood is free on non-peak days with a valid Common Access Card. On peak dates and on holidays, military personnel receive 50% off tickets. Spouses and children of active duty military personnel also receive 50-percent off day lift tickets (any day) when accompanied by active duty military personnel with valid Common Access Card. Season pass: The pass went sale March 11 and is good for the remainder of this season (April 21). Get more information here. The best deal for single day tickets are buying online, where the savings are up to 30-percent of Sierra’s ticket prices at the window. For deals, click here. The best deal for single day tickets at Sierra-at-Tahoe are buying online, where the savings are up to 30-percent of the resort’s ticket prices at the window. Every Sunday, Sierra offers free skiing or riding for active Military. Sierra’s “Fly and Ski Same Day” is also free with a boarding pass and ID. 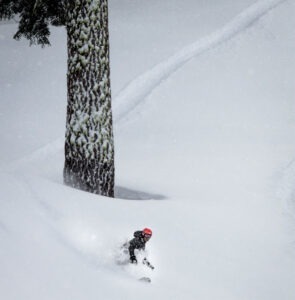 Season pass: The resort, located off Highway 50 heading into South Lake Tahoe, will offer a pass in mid-March for the remainder of the season and all of 2019-20. Click here for details. If bought online before midnight the day before, the savings is $5 off the above prices for single-day lift ticket. Click here to view adult lift tickets in March for $84. Season pass: The 2019-20 season passes go on sale on March 15 and will allow access the rest of this spring. Click here for more information. Boreal departs from its normal $74 adult ticket with single-day ticket deals practically every Friday. The resort, located off I-80 at Donner Summit offers $15 Fridays for college students and active Military throughout much of the year. Boreal also has “Feel Good Fridays” where it offers $25 lift tickets to all guests with $5 going to local charity. Note that Boreal is open nightly until 9 p.m. and lift tickets are $39. For Boreal discount information, click here. Lift tickets are similar to a plane ticket – the further in advance they are purchased, the more savings. Boreal currently does not have any specials for one-day lift tickets. However, a one-day adult lift ticket can be purchased for as low as $30, if bought in advance. Season pass: Skiers and riders will have to wait until mid-summer to purchase the 2019-20 pass. 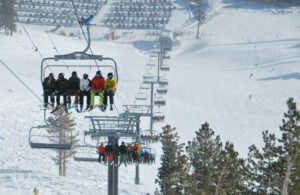 Soda Springs offers daily deals, including saving up to 40-percent when you buy a lift ticket online. Season pass: The 2018-19 season pass costs $499 for a family of four. Although the modest family-friendly Tahoe ski resort doesn’t offer any specific deals other than a “learn to ski package,” does it really need to with these base prices? Every Tuesday and Wednesday, moms and dads pay only $15 for an all-day lift ticket when they bring their kids ages 12-under to ski or snowboard. On “Throwback Thursdays,” skiers and riders receive an old-school discount with $24 children’s lift tickets and $35 adult lift ticket. Season pass: The 2019-20 pass is available for $479 (adults) and includes this season. It went on sale March 19. Click here to see the pass information.